What classifies a song as a Halloween song? It is words. It is feel. It is unmistakable. Almost every genre of music has a Halloween representative, although I have yet to find a Gospel or Christian Halloween song in my searches. Much of this music must be sought out since it will never make it onto a Halloween compilation CD or onto commercial radio. As Halloween approaches, my never-ending search for new Halloween sounds reaches a higher level while stores stock current offerings. Each year I find something new. Each year I find more of the same old usual suspects. Let us start with the stories about the songs that you have most likely heard. Sheb Wooley (a.k.a. Ben Colder) is known by most Halloweenites for penning The Purple People Eater, but to millions of other folks he is known for his country novelty tunes and extensive film and TV work. Wooley first got the idea for The Purple People Eater when a songwriter friend told him his son had come home from school with a joke about a "people eater." After recording what he deemed as a "bottom of the barrel song," his label decided not to release it. They thought it was something they did not want to be identified with. Somehow a copy of the song made its way to the company’s New York offices. They loved the song. The country’s fascination with UFO’s and the Sputnik phenomenon in full swing, the NY office reconsidered the release. 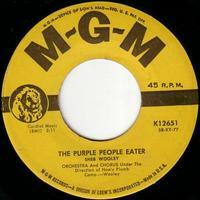 In early 1958 The Purple People Eater became the first single ever to hit number one in its second week on the charts. 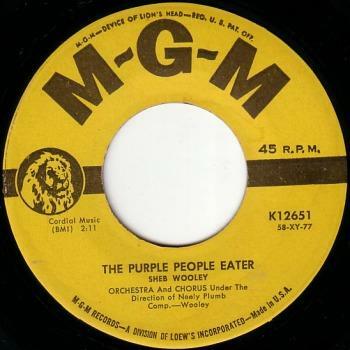 The Purple People Eater catapulted to Number 1 for six weeks in 1958, sold over three million records and received a gold record within three weeks after it was released. It is the Number 24 song of the 1955-1959 rock era and has sold over one hundred million copies. 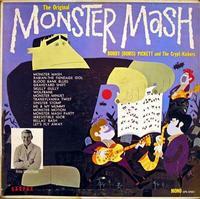 In about an hour and a half, Lenny Capizi and Bobby Pickett worked out The Monster Mash. Halloween music was forever changed. These two members of the singing group the Cordials decided to take advantage of the novelty song craze happening in the early sixties. They brought the song to producer Gary Paxton (singer of the Hollywood Argyles hit Alley Oop). After the session, Paxton dubbed the band "Bobby ‘Boris’ Pickett and the Cryptkickers." On October 20, 1962, after eight weeks on the charts, the record hit Number 1 just in time for Halloween. It re-entered the Billboard Hot 100 on August 29, 1970 peaking at Number 91 and again on May 5, 1972 when it went all the way to Number 10. 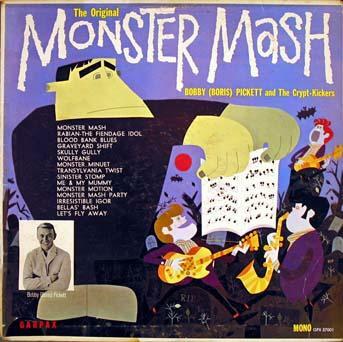 Over the years, The Monster Mash has sold over four million copies, received three gold records, and is easily one of the most popular novelty records of all time. Haunted House was first recorded in the late 1950s by Johnny Fuller (Specialty 655) but failed to chart. In 1963 Domingo Samudio (a.k.a. Sam The Sham) was performing Haunted House live clubs and on television. People went nuts when he performed the song. Jumpin’ Gene and Sam the Sham were playing clubs together in the early sixties. Gene saw how folks were reacting to that song. 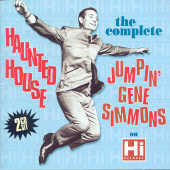 Ray Harris at Hi Records asked Gene to see if Sam would record Haunted House for Hi Records. Sam declined and said he wanted to cut the record on his own. Harris wanted to proceed with their recording of the song and asked Jumpin’ Gene if he would cut the record. Simmons has said the session was not like his others in that "everyone involved had fun." By August 1964, Haunted House (Hi 2076) had made it to Number 11 on the Billboard Hot 100. After years of unsuccessful releases Haunted House would be Jumpin’ Gene Simmons first hit and would launch him on his first world tour. 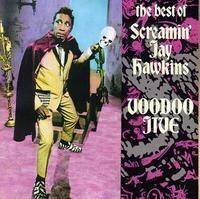 Many years ago I was fortunate enough to catch Screamin’ Jay Hawkins at a small nightclub in San Francisco. The show was weird, excellent—but weird. I Put A Spell on You was THE signature song. Hawkins crept around the stage in a cape, brandishing the smoking skull on a stick he named ‘Henry.’ He was a crazed cannibal, a voodoo jive master. What I did not realize at that time was his immense impact on macabre music, especially on the presentation of that music. Inspired by being dumped by a girlfriend after she caught him cheating, Screamin’ Jay cut the original version of I Put A Spell On You for Grand Records in 1949, but the record failed to make an impact. Recorded with producer Arnold Maxon for Okeh (Epic) in 1956, the song soon became his signature hit. Maxon insisted that Jay’s recording needed to live up to the strange title and suggested that they turn the session into a huge party. Maxon supplied Jay and the musicians with barbecued ribs and chicken, yams and sweet potato pie, wine, beer and whiskey. After a while, he turned on the tape. A week later Screamin’ Jay was brought a copy of the recording. He was shocked and refused to believe that the recording was of him. After some Scotch and some practiced mouth contortions, he accepted it as his own. I Put A Spell on You was banned from radio airplay across the country due to his "cannibalistic" delivery. It was eventually edited for radio with moans, grunts and groans removed. I Put A Spell On You was Screamin’ Jay’s only big single, selling over a million copies, but it never made the charts. To date there are over three dozen versions by such popular artists as Credence Clearwater Revival, Nina Simone, Atlantics, Pete Townsend, The Animals (with Eric Burdon), Bryan Ferry, Manfred Mann, Robben Ford, Van Morrison, John Fogerty, Etta James, Bette Midler, Sarah Vaughan, Nick Cave, and Marilyn Manson. 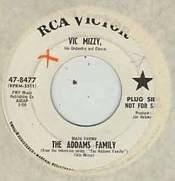 In 1964 Vic Mizzy gave us one of the best known pieces of music, The Addams Family Theme, but this legendary theme might not have happened at all. David Levy, a close friend of Mizzy’s and an executive with Filmways Studio (NBC’s television production division) asked him to patch in some stock music for the soundtrack of a pilot for a series based on the Charles Addams cartoons in the New Yorker. Vic offered to write a score for free so long as he could keep the publishing rights. Levy agreed and Mizzy wrote the theme. Not only did he write the title theme, but he also composed themes for most of the main characters, played the harpsichord, and directed the opening sequence. Vic was the vocalist on the track and his voice was overdubbed three times. Whenever you hear Lurch playing the harpsichord, it’s actually Vic. From 1964—1966 Mizzy composed themes and weekly scores for the TV show. His 1965 Ghost and Mr. Chicken soundtrack has some of his best work. He is known best in Hollywood for being an excellent source for silly and fun music and has composed for films, radio and television. Spooky was originally an instrumental by saxophonist Mike Sharpe. A regional hit in the Atlanta, Georgia area, J.R. Cobb of The Classics IV and producer Buddy Buie decided to re-record the song with lyrics. 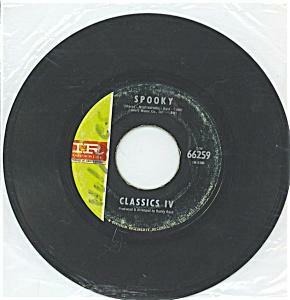 In 1967 Spooky was released on the Imperial Label. A radio station in Louisville, Kentucky began to spin the record. By early 1968 the song’s popularity had spread nationally as it reached Number 3 and achieved a gold record. It reached Number 46 in the UK. In 1974, Cobb and Buie, along with some members from The Classics IV and Roy Orbison’s Candymen band, formed the Atlanta Rhythm Section. Their 1979 remake of the original 1967 hit reached Number 17. Though it was the bands last hit, it put the song back on the Halloween map for good. In the early 70s Warren Zevon played with the Everly Brothers and by 1975, he and his wife were living in Phil Everly’s guesthouse. Phil asked Warren and songwriting partner Leroy "Roy" Marinell to write a song for his upcoming solo album. He asked them to write him a dance song. 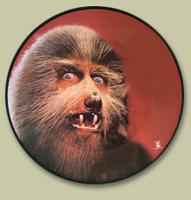 "Something like ‘Werewolves Of London’" is what Phil said. Later, at Roy’s house as they began writing, guitarist Robert ‘Wadded’ Wachtel joined them to add the "Aah-Ooh Werewolves of London". According to Zevon, the first verse was written spontaneously and entirely by Waddy. The three finished the song in 20 minutes. The track was recorded with Waddy, Mick Fleetwood and John McVie (of Fleetwood Mac fame) and produced by friend Jackson Browne. Werewolves of London hit Number 21 on the Billboard Hot 100 and Number 15 on the Cashbox charts in April 1978. The song eventually reached Number 8 and went gold. As a result, his album Excitable Boy became a Top Ten record and remains his best-selling album to date. Thanks to Phil. I hope you have enjoyed the stories behind the songs. As familiar as many of these songs are, they still remain some of my favorite songs of all time. Sometimes hearing the story behind the song brings new life to old tracks. In the next issue of Happy Halloween Magazine I will talk about the more eclectic side of Halloween music, covering genres and rarities. 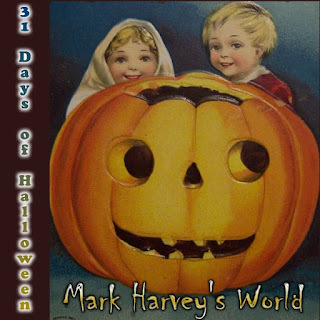 Mark Harvey is a Halloween music enthusiast and archivist. 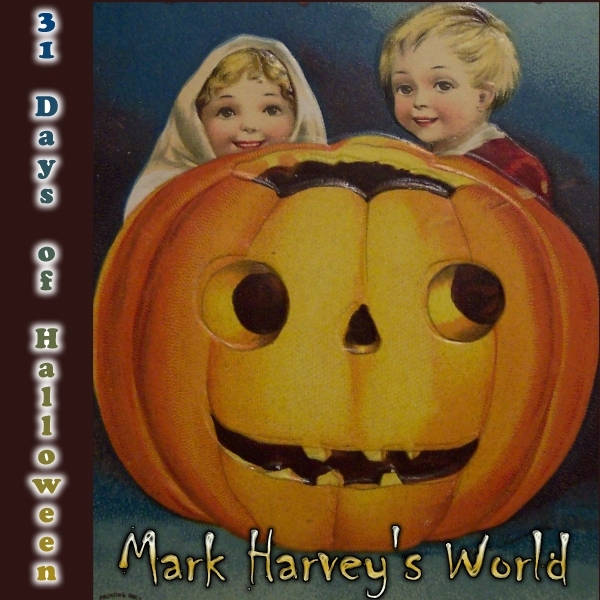 Mark owns and operates NobodyRecords.com, HauntScapes.com, Pumpkinland Studios and 13thTrack.com Halloween Radio plus a number of Halloween and non-Halloween related websites. His own Halloween releases include the Pumpkinland Halloween ‘HauntScape’ Trilogy, Rain Station’s DARK RIDE and FLESHROT: Songs from the Dead.